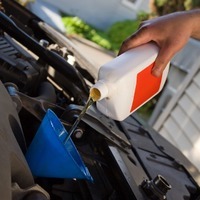 You will get benefits from performing a regularly scheduled tune-up on your vehicle. Tune-ups are one of the best ways to maintain original performance and provide fuel efficiency. In fact, we find that fixing a car that is badly out of tune can give a noticeable boost to both engine performance and fuel economy. Plus, vehicles running in top shape today prevents/lessens costly repairs down the road. Here is what you should lookout for so you know you are working with the right repair shop when it comes to maintenance and tune-ups. Have you ever gotten your vehicle fixed and no one at the repair shop seems to want to talk to you? Our approach to auto repair is COMPLETELY different. Our guys believe that having a personal relationship with customers is crucial to growing a business in Phoenix. Our mechanics listen to customers’ concerns with cost, car or truck engine issues, and will show you first-hand how we can help your car run better, and save you money. Our shop is a little hard to get to due to light rail construction on Main Street, Mesa; however, we have a number of auto bays and several certified mechanics on staff- READY to get the work done. We will minimize your wait time and get your vehicle repaired so you can do more fun things than get your car fixed! What good is a local auto shop with one bay and a mechanic who can only work on Fords, luxury vehicles or only trucks? When our skilled technicians are performing a car and truck tune-ups it doesn’t matter if it is an RV, Cadillac, Toyota, Lexus, Mercedes, a 69 Chevy, or a thirty year old pick-up truck. We know all types of vehicles; have the right parts for them, and the expensive machine to run the proper diagnostics to check them. One of the signs of a great car shop is the quality of parts being used. (Don’t even be afraid to ask your mechanics what type of parts are being used.) The best shops will only use OEM-approved parts that were specifically designed to match the parts that come on that car or truck when it was built. Too many shops use inferior parts purchased from overseas manufacturers which don’t last or t fit properly. It doesn’t make sense to pay money for a tune-up to have to be back at the shop to get the repair done again a few months down the road. Choose a shop that uses quality parts so the job is right the first time, saving you money and time. Our tune-up/maintenance service focuses on inspecting the filters, draining and changing fluids, monitoring the electrical system, checking the brake system, and making sure the engine is tuned perfectly. However, we do more than just a tune-up that the typical or big brand shop will do! We check your entire car to make sure everything is running correctly as well as fixing what needs to be done. Our Mesa car and truck mechanics have decades of training and experience – and are constantly working to further their education so that they can spot potential issues on your car so we make the repairs before they become a roadside emergency. If you want to eliminate all these concerns, call or stop by All Brands Auto today and one of our friendly sales associates will schedule your appointment for a free estimate on any car or truck repair needed. We have an advanced tune-up service package starting from $42.50!! Not only will you get a fantastic deal but you will see how committed our entire team is to providing exceptional customer service and making any repairs on your car in a timely manner at the lowest possible cost to you. Contact us now to set up an appointment for an All Brands Auto Tune Up!